Let’s just begin by saying I am seriously putting up my hands to say this Sichuan Beef has to be one of the tastiest meals I have ever tasted! Two of the funniest things about that are, firstly I am not a huge “steak” consumer because I am not exactly the biggest fan of beef. So for me to rate this so highly is just a huge surprise to me. The second reason I find this a funny moment of blogging a recipe is the fact that I actually wrote this recipe more than 12 months ago, without any testing just a simple style sauce that I thought would work with some thin slivers of beef and vegetables. I seriously cannot believe that I have been sitting on this recipe all this time and it tastes so amazeballs! Sichuan cuisine, Szechwan cuisine, or Szechuan cuisine originates from the Sichuan Province in China. It is basically hot fiery pungent and bold flavours including ingredients like garlic and chilli. 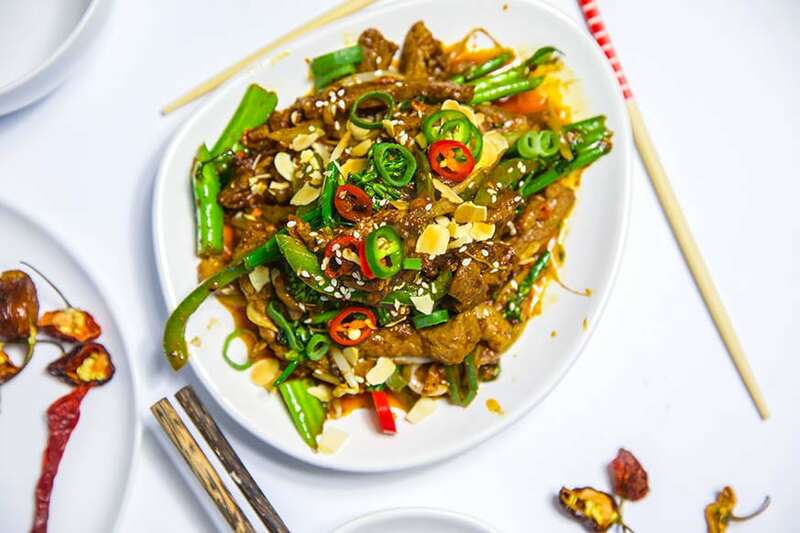 This Sichuan Beef gets the hit of chilli and spice from fresh chilli, sriracha, white pepper and a wee bit of garlic. The use of butter and a mild fusion of nut butter, sesame oil, five spice and tamari help create the umaminess of hoisin or oyster sauce in this recipe. 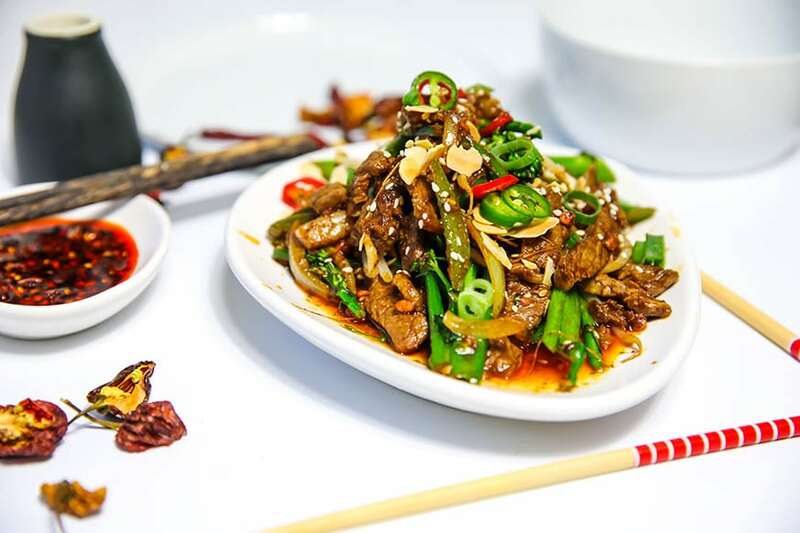 How good can Sichuan Beef be? 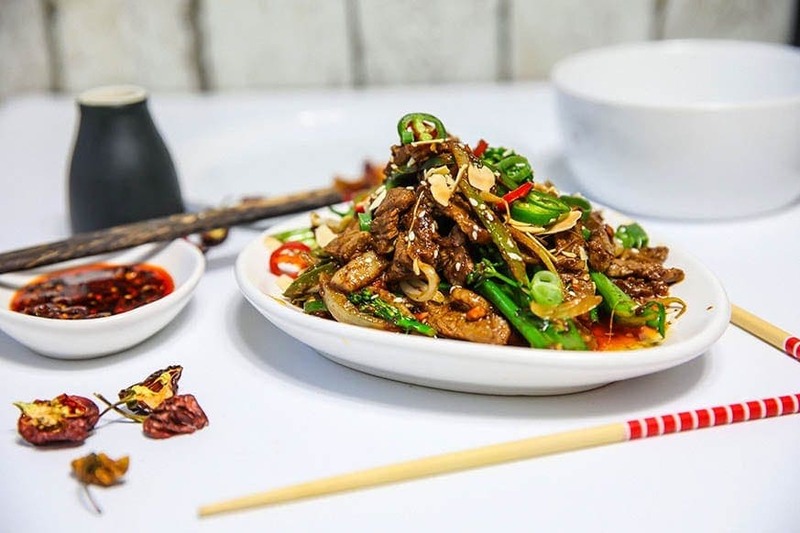 Today I made this Sichuan beef recipe when a friend and fellow keto follower popped around for a quick bite on a busy day. Seeing her take her first mouthful, then groan, close her eyes and drop her shoulders instantly made me break out my fork to test this most photogenic dish. I fell in love! Not with Kris but with the plateful of food. Now I am kind of in trouble as Dave is home and there is none left for him. haha! Oh well I do have some very delicious soup in the fridge for dinner tonight. 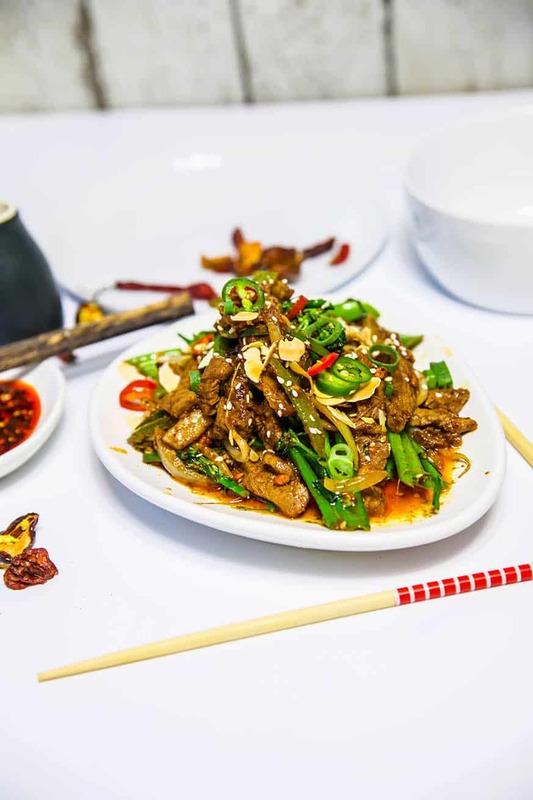 I would totally love to hear what you think of this Sichuan beef recipe. All the ingredients are easy to source and this was cooked with no marinating or fancy cooking methods. It is just quick nourishing and bloody delicious! 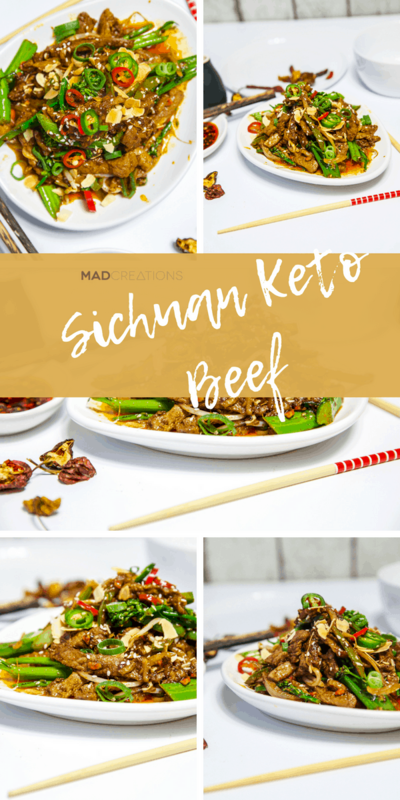 Love a little Sichuan and all things Keto? Get more from us today! If you are just starting out Keto and would like to eat meals like this as part of a plan then maybe interested in checking out our 365 Club with weekly meal plans, and over 200+ recipes for you to draw from all including macros. Place, garlic, ginger, white pepper, aminos and chilli into a small bowl with thinly sliced beef. Coat beef in seasoning. The meat in this recipe can be changed to any other meat or seafood. For a vegetarian or vegan please substitute the meat for tempeh or eggplant, and the butter for coconut oil or Nuttelex. I want to see your efforts on FB or hear about them here. This is one recipe everyone should try! Thanks Megan for a delicious recipe I’ll definitely be making it again. So yummy! Thanks Megan for a delicious recipe. I will definitely make this again so full of flavour. So hard to have a favourite recipe from your collection but this is now one of them..
Sensational. Will be definitely making again. So nice to have 1st stir-fry in 12 months of Keto. Wow. Just the right amount of spice for me (maybe too much for the kids!) but multiplied by 4 and thought there was too much liquid. Never fear, I trusted Megan and it was fabulous. Another winner. Oooooh yum – this one was a winner with everyone. Just polished off a bowl of this! My husband said quote “man this is yum. Better than the shop! Salty and sweet…easy 10/10”. Looks awesome but is it really 1000 calories?? Seems strange given the ingredients. Just wondering which Sriracha this calls for? I googled and there seems to be a powder and a sauce type? Also do you use a particular brand of shaoxing wine please? I just use the sauce there is even a no sugar variety available in Coles. This is a great meal for lunch or dinner. I make a double batch now so we have leftovers for the next day. It seriously is so easy and so full of flavour that is has become a regular favourite on our meal plan!! Love Love Loved this! So easy and really tasty. Really yummy! Love how tender the beef is by not simply frying in oil. 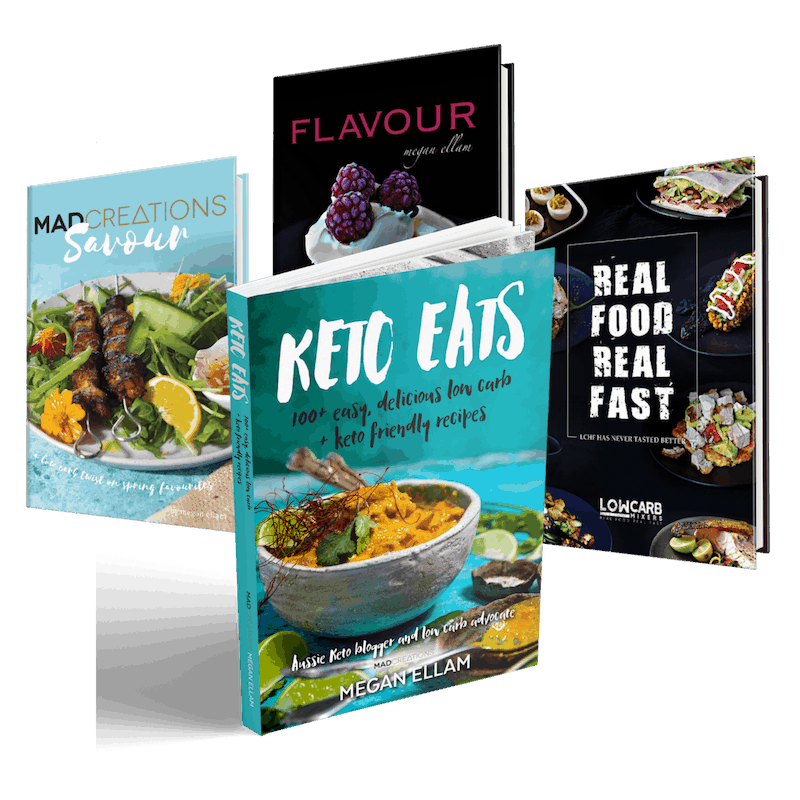 Question though – I looked up the Shaoxing wine and wonder how it is keto, being made from rice? The article also said the alcohol content is about 17 to 18% – is there a non-alcoholic version?